The Pet Wiki > Cats > Cat Products > How Does Catnip Work? November 3, 2014 Comments Off on How Does Catnip Work? The catnip plant is a member of the mint family. Its scientific name is “Nepeta Catria.” The plants native growing regions are Europe, Asia and Africa. Settlers coming to North America brought the plants with them where it found the soil to its liking and has been growing like a weed since then. Catnip is believed to be totally non-toxic to cats and they do not become addicted to it. The oil contained in catnip which seems to give cats a “high”, rolling around, licking the plant, sniffing, rubbing against it, vocalizing, is called Nepetalictone. The cat sniffs the catnip sending signals to the brain causing the cat to have a response which appears to be artificially sexual. 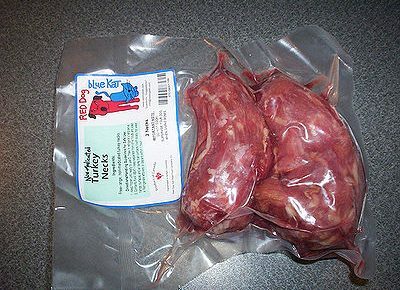 The cat’s actions can also be due to hunger or response to prey. 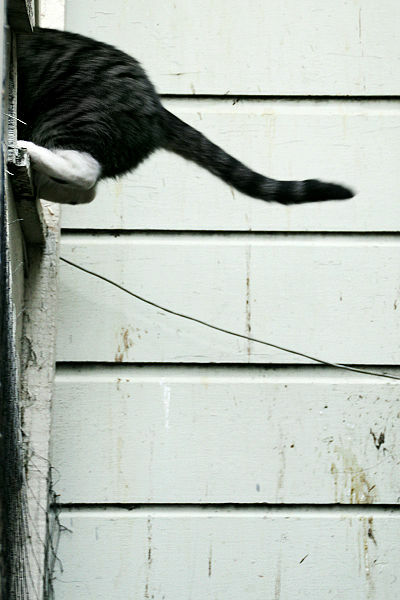 Cats appear to lose their inhibitions. 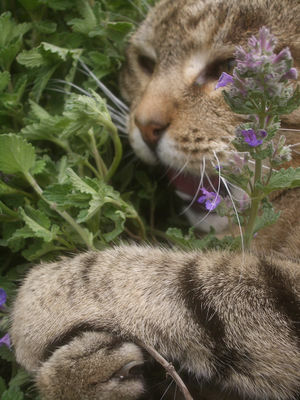 Catnip can sometimes act as a peacemaker between warring cats and can have lasting effects. Kittens, until they reach sexual maturity at about 6 months old and seniors do not seem to respond to it. The reaction to catnip may be hereditary. About 30% of cats are not affected by catnip. The cat’s response usually lasts about 10 minutes and then the animal becomes immune to its effect for about a half hour, although some cats can have long lasting effects. Humans do not have the same reaction to catnip. Holistic practitioners have used catnip to relieve a number of ailments including indigestion, gas, insomnia, soft tissue injuries among them. 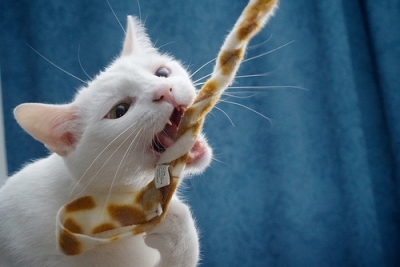 Since allowing your cat to play with the plant or a toy stuffed with catnip is harmless, sit back and enjoy being entertained by your cat’s antics. You can purchase catnip in the Pet Wiki Store.